Tuscany is one of the most naturally beautiful places on the planet. This picturesque part of Italy is known for the splendour of its nature and the finesse of its man-made wonders, including magnificent architecture, paintings and sculpture. This part of Europe is also renowned as a place to come and enjoy fine wines and exquisite cuisine. Visitors to the region can stay in traditional hotels in famous centres such as Florence and Pisa, or they can choose a more authentic visitor experience. You may have heard of the term Agriturismo Tuscany, and be wondering what is involved. Agriturismo is actually one of the best ways to experience the real Tuscany and its people. 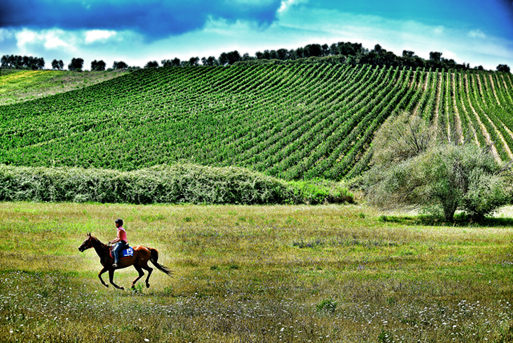 For centuries, the region of Tuscany has been an agricultural area, where farms and green fields abound. This agricultural life is still very much in existence in this part of Italy, and it can now be enjoyed by tourists. For more than two decades, traditional farms in Tuscany have been converted into beautiful rural accommodation. This is how agriturismo was born. There is a range of accommodation available, with many agriturismo venues offering luxury living with an added touch of authenticity. If you think that this sounds like an ideal vacation experience for you and your family, there are five things you should know when you look for the best agriturismo in Tuscany. Agriturismo in Tuscany is ideal for children. If you have children that you are taking away on vacation, agriturismo is ideal. You can find accommodation that has facilities such as a children’s play area and a swimming pool for them to use. Of course, you get to spend time around the pool too; enjoying the summer sunshine. Agriturismo gets you close to nature. Most of the accommodation you will find is located in a rural area. This means that you can spend time exploring the countryside, disturbed by nothing other than birds singing. The venues that provide a place to stay for agriturismo Tuscany make use of natural local resources. This means that you can have a more eco-friendly experience than you would in many traditional hotels. Tuscany is famous for being an incredible place to eat and drink. An agriturismo experience provides you with many opportunities to savour the authentic flavours of this part of the world. Dishes are produced using fresh local produce, so you eat meals that have come straight from the fields to the kitchen and the dining table. You can also take part in a wine tasting experience and develop an appreciation of some of the best wine you will ever taste. Agriturismo is one of the best ways to escape the rat race. Getting caught up in the fast pace of everyday life can be stressful. You wake in the morning, and head off to work or college; then it’s back home and to bed before you know it. Many people continue to work over the weekend, or they spend time on family activities which can also be tiring and seem routine. Agriturismo allows you to escape from the stresses of your normal routine. You can experience an idyllic rural lifestyle that you will never forget. At Montebelli, guests are welcomed into a tradional rural escape with a touch of luxury. Anyone who comes to stay can spend time relaxing, biking in the countryside or simply relishing the beauty of the stunning Tuscan scenery.